Dr. Sheila Schils has been in the equine industry for over 25 years. 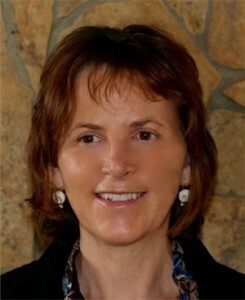 She was a Professor at the University of Wisconsin before starting a private practice in 2001. Dr. Schils actively works in the field of equine rehabilitation, specializing in the use of electrical stimulation for physical therapy. Her practice has involved all breeds and disciplines of riding from Western Pleasure to Saddle Seat to Jumping and Dressage. Injury rehabilitation is her main work, however injury prevention is an important part of Dr Schils’ practice as well. Dr. Schils education includes a Ph.D. in Biomechanics/Kinesiology and a Masters in Animal Science with an emphasis in Equine Nutrition. She spent a year performing research with the International Equine Biomechanics Team in Sweden. This interaction focused on the importance of evaluating the biomechanics of the horse when dealing with injury and recovery. During her 20 years at the University of Wisconsin, Dr. Schils taught courses in equine health, management, biomechanics and kinesiology. Dr. Schils not only has a background in research and education, but has also balanced that education with many years of riding and training horses and riders. Therefore, her expertise in the field of physical therapy is supported by her practical experience working with horses and riders on a day-to-day basis. To develop her riding skills, she has worked with leading trainers, including a year spent riding for Eric Lette in Sweden, the International FEI Chair of Dressage. Her commitment to riding has led to numerous National and Regional awards in eventing and dressage. Dr. Schils feels it is essential for the practitioner to be able to understand the details of the sport from a rider’s perspective, especially when setting up a physical therapy retraining protocol. Schils, SJ. Functional electrical stimulation for muscle wasting in equine rehabilitation. 7th International Symposium on Veterinary Rehabilitation and Physical Therapy (ISVRPT) Proceedings. Vienna, Austria, August 15-18, 2012 pg 97. Initial observations. Proceedings Conference of the International Functional Electrical Stimulation Society, Smart Machines- Neural Evolution, Banff, AB, Canada September, 2012. Schils, SJ. Boots on the ground: Rehabilitation protocols utilized by rehabilitation facilities. Schils, SJ. Functional electrical stimulation (FES) for treatment of muscle spasticity and atrophy in horses. Proceedings 2nd Annual Conference of the International Functional Electrical Stimulation Society, (UK and Ireland Chapter), University College Dublin. March 2011. Schils, SJ. Early mobilization for acute and chronic injuries. Proceedings 7th Annual Promoting Excellence Symposium in the Southeast, Amelia Island, Florida Sept 29-Oct 2, 2011. Schils, SJ. Functional electrical stimulation (FES) for use in equine medicine. Proceedings Conference on Equine Sports Medicine and Science, Sigtuna, Sweden, June 28-30, Wageningen Academic Publishers, Wageningen, Netherlands, 2010, 103-108. Schils, SJ. Turner TA. Review of early mobilization of muscle, tendon, and ligament after injury in equine rehabilitation. Proceedings 56th Annual AAEP Convention, Baltimore, Dec 4-8, 2010: p. 374-380. Schils, SJ. How to use functional electrical stimulation (FES) for rehabilitation after stem cell therapy. Proceedings 6th Annual Promoting Excellence Symposium in the Southeast, Orlando, FL, Nov 4-6, 2010. Schils, SJ. Review of electrotherapy devices for use in veterinary medicine. Proceedings 55th Annual AAEP Convention, Las Vegas, Dec 5-9, 2009: p. 68-73. © Copyright 2017. Wellington Equine Sports Medicine. Web Design By SEO And Web Solutions. All Rights Reserved.